My take: besides the fidelity to actual 40k lore, the most interesting part of the gameplay is that they don't use cover mechanics. So the game is quite agile, you don't stagger your match by holding your units in place. And of course, it has lots of ways to compensate and substitute the lack of cover. Oh yeah, now that you mention it. I never even reflected that it was designed without cover mechanics when I played. Suffice to say, I apparently never missed them. Mechanicus looks pretty good I must say. I do wish it was on GoG. I am a big an of like buttons, but sometimes I wish we had a dislike button under some of your articles. By the way can't login into my old gol account, what's up with that? No cover mechanics you say? 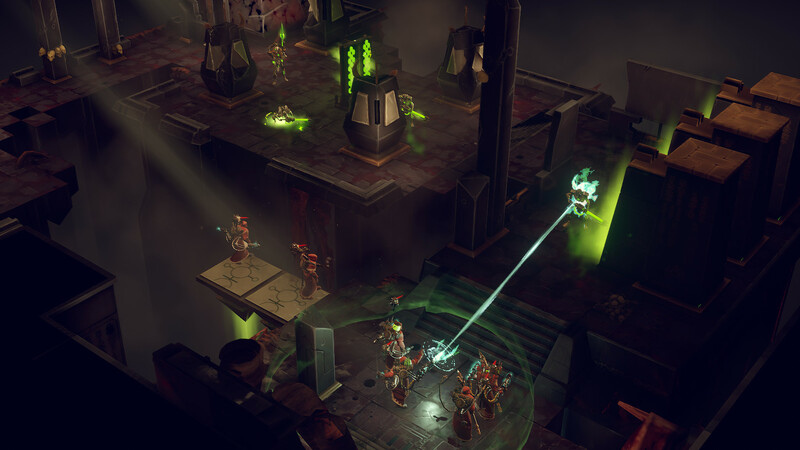 Well count me in, I always hate cover mechanics in such games, that's why I never could complete XCOM2 or the Shadowrun series, because combat is always to slow for my taste. linuxuser I am a big an of like buttons, but sometimes I wish we had a dislike button under some of your articles. By the way can't login into my old gol account, what's up with that? Feature requests go in the forum. For account support, email us. It is a nice game, but sadly i think the developers are not able to exploit it. They said they have more for the game, but they also said "in ab"out six months". And it's been weeks already of feedbacks about balance mostly, not only "nag nag" but with propositions, and still very very little has been done. The tech trees and the XP system need a complete redone, to start with. Can i ask you want you want to dislike ? What would be the point ? That's a real cordial question.